Hi everyone. Yesterday I spent the day in my studio with two crafty friends, Debbie and Frances. We used to work together and have know each other for over 30 years ... where does the time go??!! I showed them the smooshing technique using different papers (watercolour, mixed media) and two mediums (distress ink, inka gold wax paste). We made a bunch of backgrounds and found time for each of us to make six cards, as well as having many backgrounds left over to make into cards later. So fun! Above is one I made die-cutting an inka gold smooshed background. Love the soft and shimmery colours. I agree with Darnell about a productive crafting session! Both are so beautiful, and it was smart to make two cards. I almost always do that as well--always a shame to waste something that pretty. How fun that you have crafty friends you have known forever. Wow! Love these soft, shimmery colors! The inlaid is as pretty as the first one! Sounds like some happy stamper! Both cards are stunning and saves waste. Love the colours. Smooshing rocks. Smooshing with shimmer is totally gorgeous. Both are beautiful. I love your smooshing technique. I'll have to try it. Sounds like a wonderful crafty time! Love these! Amazing card Loll - the shimmer you've achieved is brilliant. 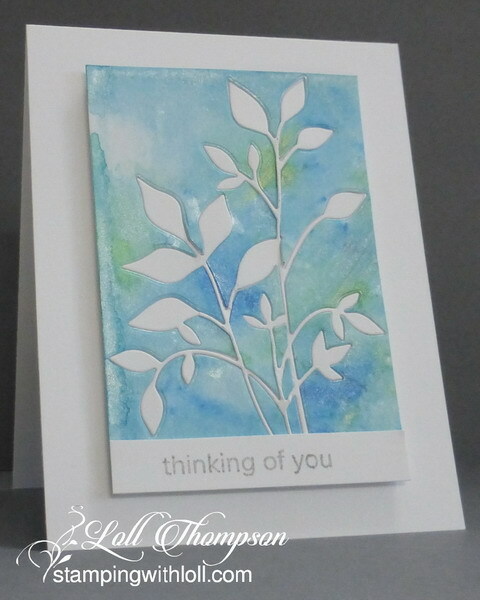 The colours are gorgeous and love the way you've used the negative piece as well. Sounds like you all had such fun. 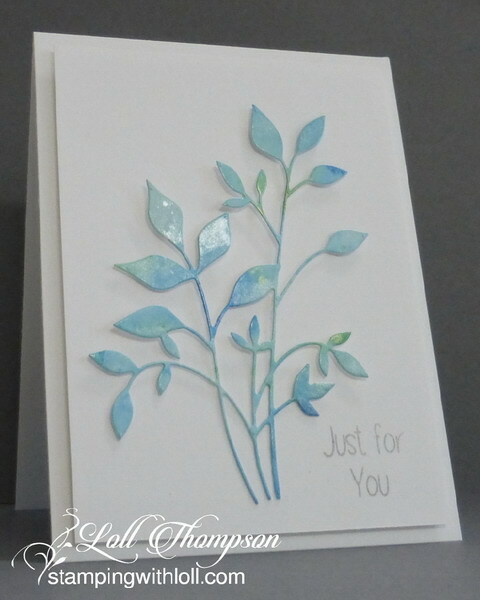 two lovely, delicate card. Great watercolor background and well used every piece. Beautiful cards. The cards are beautiful! I love that shimmer! I am not familiar with Inka, but if it all looks like this, I'm in for some shopping - lol. Both cards are wonderful. Time to make some new background panels and try for this colour its so beautiful. How fun to craft with friends! love both of these designs! Absolutely GORGEOUS cards, Loll! I love the softness of the colors and the shimmery effect of this medium...I am definitely going to have to try them out...Thanks so much for inspiring us! These are so beautiful. I love them both.